This blog post is for you that wants to get more into surfing or for you who already surf to dive deeper in the anatomy and physiology of surfing. Please remember now and forever that we are all in this together, we share the ocean together. No one owns the ocean or any beach or spot. But respect the rules because surfing can get dangerous very fast and a drop in of someones wave can cause collision in the head which in some cases lead to deadly injuries or even death. Surfing is a dynamic and explosive environmental sport where the surfer is using the energy of the waves the oceans produces to ride the waves . With the right timing and amount of paddling the surfer is able to stand up and surf the waves using a surfboard. Surfing involves multiple tasks, hence requires some specific demands, including flexibility, strength, power and stability from the surfer. Surfing brakes down into three sequences, paddling, take-off and wave riding. Most of the time surfing is spent paddling, the actual wave riding is a very small time of the session and during the rest of the time the surfer can recover while in position waiting for waves. The paddling part contains two types of work, long term paddling and the explosive short sprint paddling for the take-off. In surfing paddling is the number one skill for catching waves and be able to ride them. The take-off is a short explosive sequence where the surfer paddles as fast as possible to gain maximum speed to get positioned in the wave and then push up the upper body and jumps to a standing position on the board to get into the riding sequence. The take-off is a technical part where timing and the speed from the paddling combines. Pumping where the surfer is simply bending and extending the legs in a fast motion to gain speed in the wave, uses the anaerobic system and may produce a lot of lactic acid after a couple waves. Bottom turn where the surfer is turning up back against the wave backside or front side to make a turn back down a full rotation from head to ankles through the whole body is done. Cut back where the surfer makes a figure of eight by turning back in the middle of the wave. Re-entry where the surfer makes a last turn before the wave breaks to avoid being taken away by the foam of the broken wave. Aerials is when the surfer uses the wave as a ramp to get airtime and this requires strength and flexibility in knees and ankles to better absorb the impact from landings. Paddling is very technical you want to get most out of each stroke while not fatiguing the muscles. 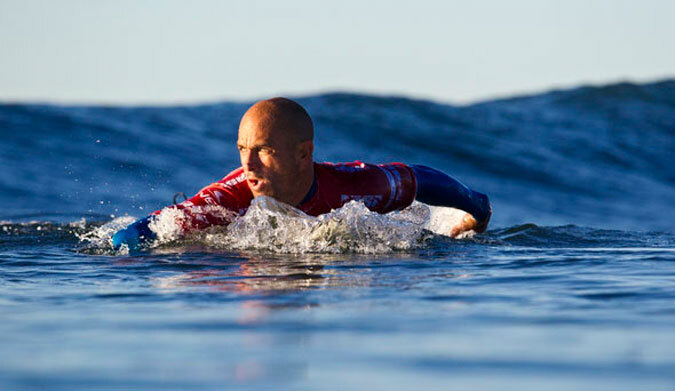 There is endless of theories on paddling how to do it in the best way and if we look at Legend surfer and 11 times world champion Kelly slater how he is doing it there are 3 main things the champion does that are to keep in mind in comparison to other “non” pro surfers out there. He is keeping his head still during the movement not doing unnecessary movements. He is keeping his elbows high during the paddle. He slightly roll to rest the arm by the rails of the board while the other arm is in the water. Duck diving is also a specific skill the short board surfer must learn where you while paddling out before and oncoming wave grab the rails of the board, extends your arms, leans the upper body forward and dive the nose your board with a strong determined movement trough the oncoming wave to get through and out to the wave. A back foot or knee can be placed at the tail of the board to stabilize and help the diving. A good night of sleep is of importance for maintaining the body’s hormone balance levels and immune system and the recovery process of muscle tissue. 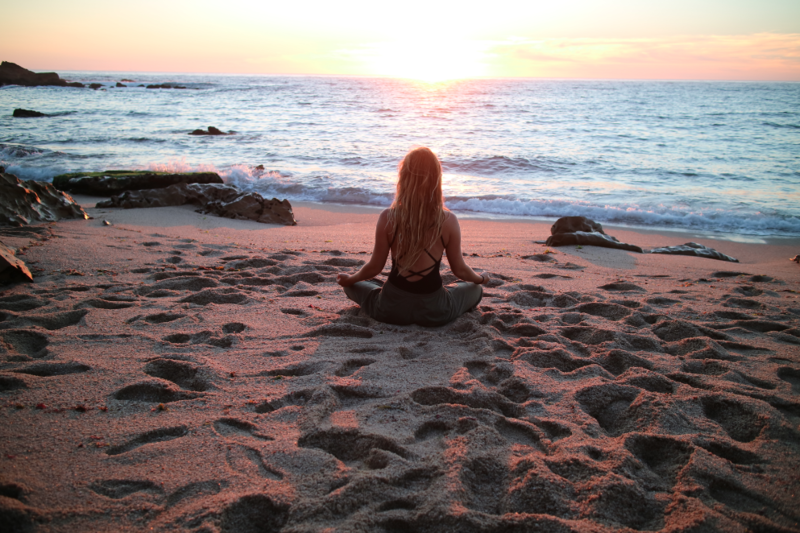 Meditation can influence sleep and the harmony between body and mind. I recommend to include 30 minutes of daily meditation in the morning evening. Surfing can be a dangerous sport which can lead to several kinds of injuries. Dont go out in bigger waves than you can handle. Show respect to other surfers . If someone paddles for a wave dont even paddle for it ! Wait in the line up there will always come more waves. Keep a good vibe in the water, show respect and you will get respect. Some people are just not aware of what surfing is and think they own the ocean, dont let these people ruin your surf or become like one of them. They are clearly not happy in their life and most often they are dangerous and unpredictable.